The Tempress Line Of Access Hatches are as functional as they are stylish. The Access Cam Hatch is made from a glass filled polypropylene, for strength and durability. All Access hatches are designed for heavy traffic areas, and will withstand people walking or standing upon them. 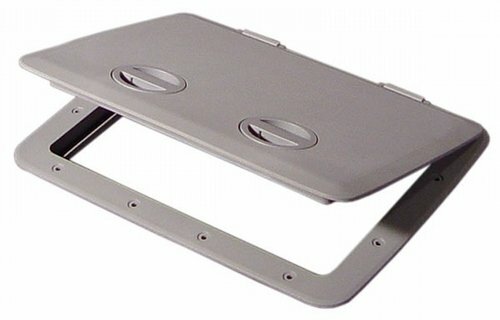 The 1317 Access Cam Hatch features two dog down latches, that compress the gasket to create a weather tight seal with a quarter turn of the wrist. 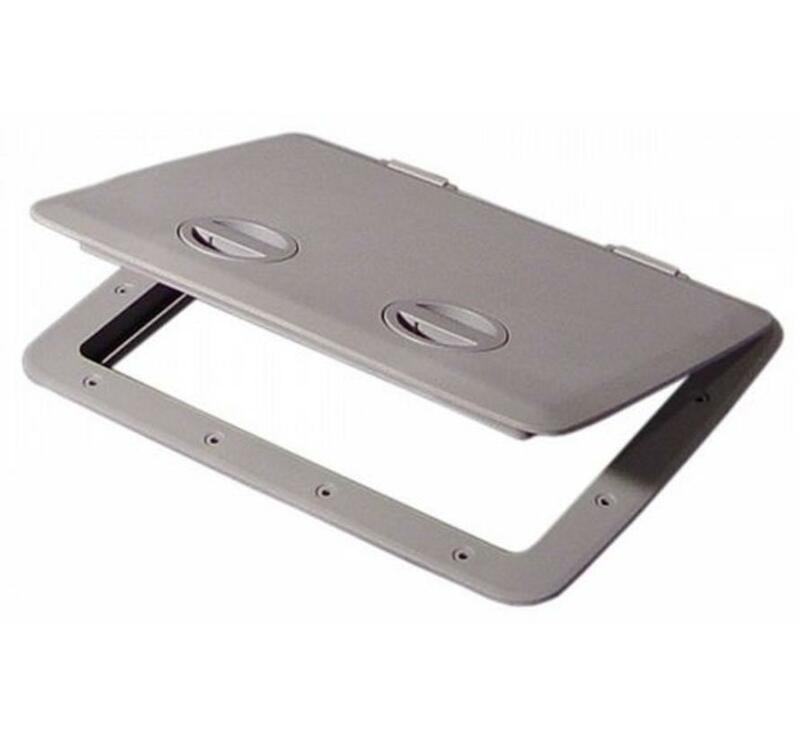 Access Hatches also utilize a patented integral hinge assembly that allows for easy lid removal. The beveled and skirted lid covers all fasteners for a clean look above or below decks. The Access Cam Hatch line is the perfect choice for easy dry storage, access to bait or fish wells, or electrical and plumbing lines. 1317 Cutout = 10 5/8" x 14 1/2"
1317 Inside = 9 1/2" x 13 1/2"
1317 Outside = 13" x 17 3/8"
Really sturdy and easy to install.